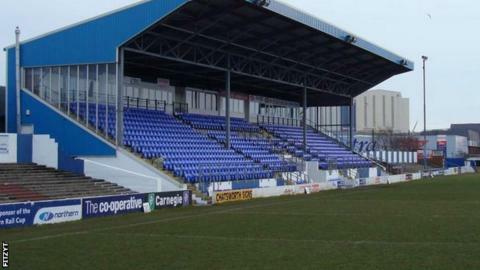 James Nixon and Andrew Dawson have signed new one-year deals at newly-promoted Barrow Raiders. Scotland international winger Nixon, 27, has scored over 100 tries for the Cumbrian side. And forward Dawson, 23, who made the step up from the amateur game this year, appeared 23 times for the Raiders in their promotion campaign. "He [Dawson] is going to get better and better with each season," director of rugby Andy Gaffney said. "I am really pleased that he is going to continue in a Raiders' shirt for the next twelve months."